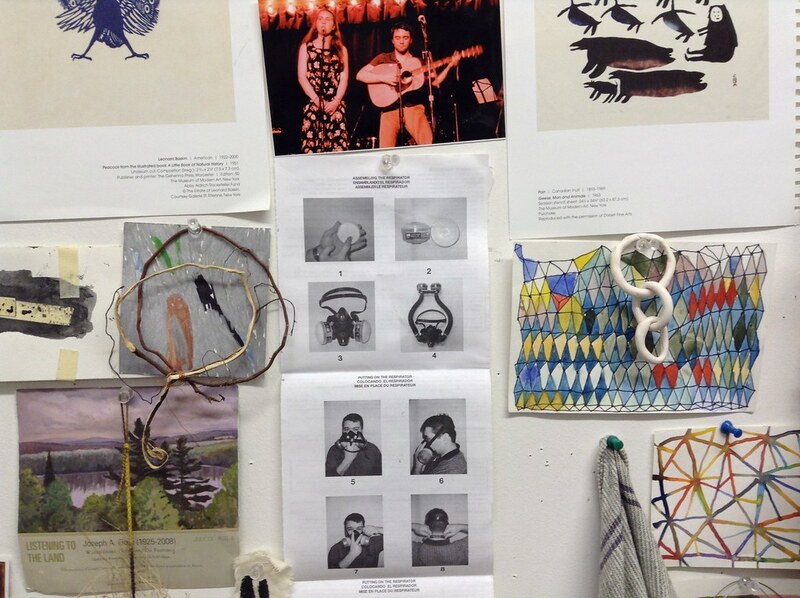 I work out of a small, shared studio, just a few yards from Buttermilk Channel, in South Brooklyn, New York. I’m inspired by ecology, which is mostly stuff I find on the ground, things that fall from the trees, or get dropped by, I guess, birds. I like multiples and repetition and I like repletion of things that don’t look alike, if that makes sense. You probably can’t make it out, but somewhere on the wall is a table full of pinch pots. Maybe four or five years ago, I spent my summer vacation covering my dining room table with pinch pots, colored and arranged along the visual color spectrum. We gave them all away at a pot party, and, you know, things have just evolved from there. One of my favorite things in my studio is the photo of my son and daughter playing music, down the street at a concert that my daughter gave at Jalopy. They are awesome. The emotional difference between how you feel when you are closing up the kiln with pieces to fire and how you feel when you are about to open the lid after the firing is huge. 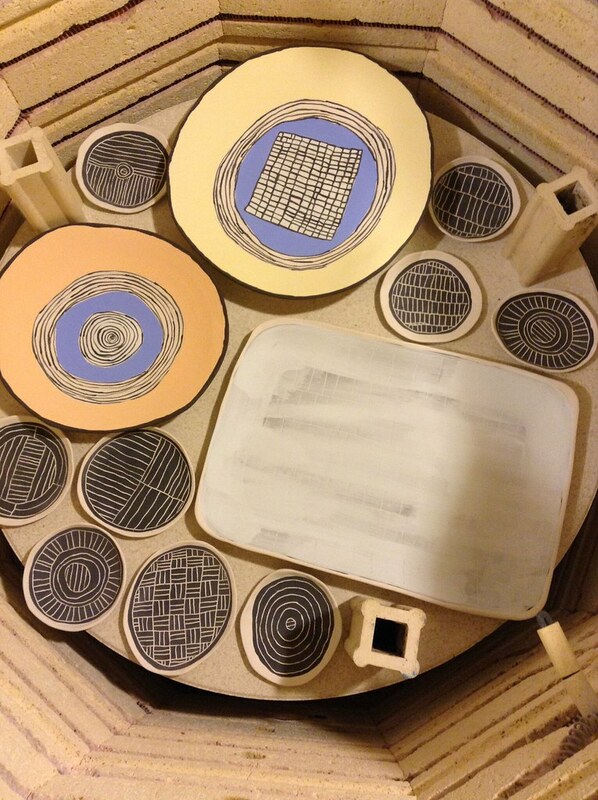 I just love the kiln. I have a home studio too, and I share it with my husband, who is a writer. I find joy in arranging things. I like small things. 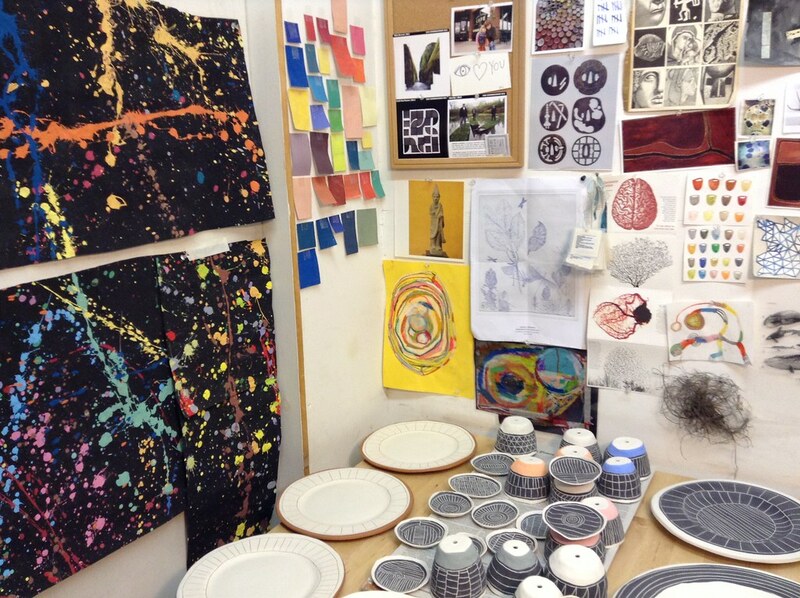 I do a lot of sewing, and it’s hard for me to say whether my textile work has influenced my ceramics or the other way around. 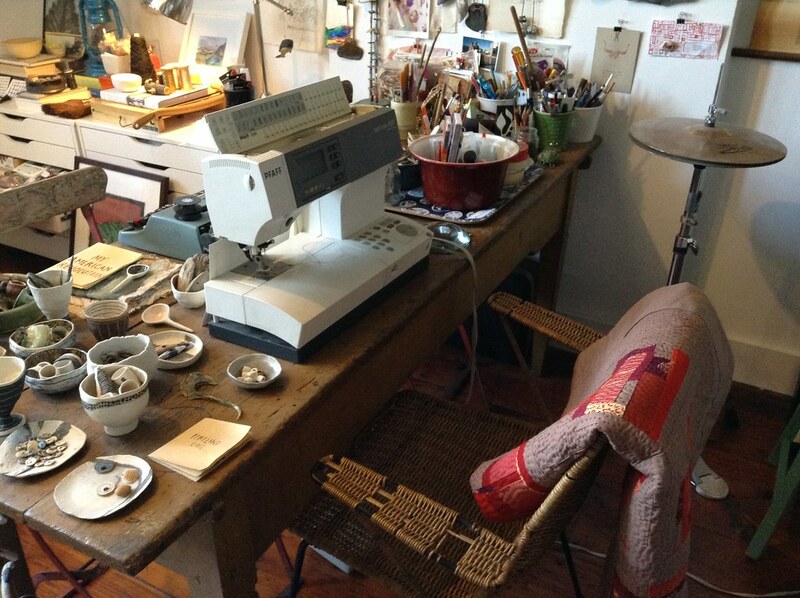 At the home studio, we’re pretty surrounded by my stuff—it feels a little like a lab. 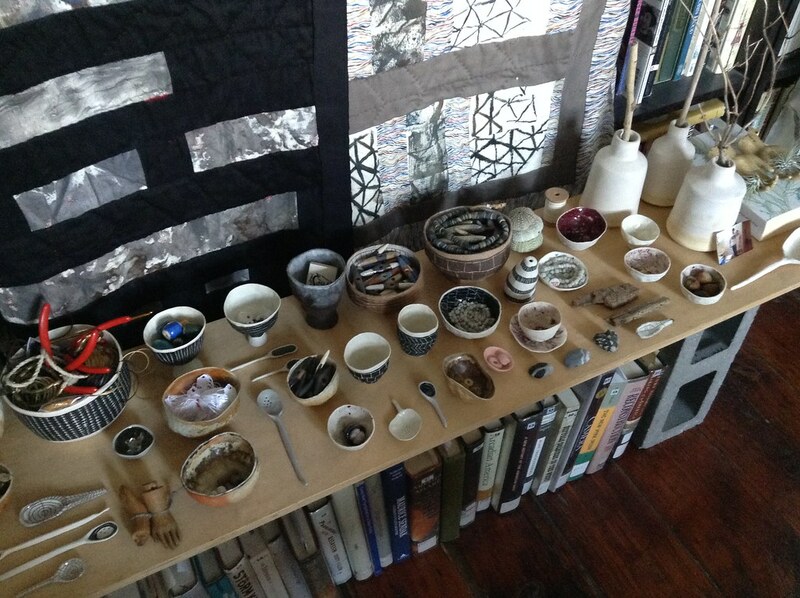 Even though my pots are pretty functional, I like to think of them as part of a giant installation piece.